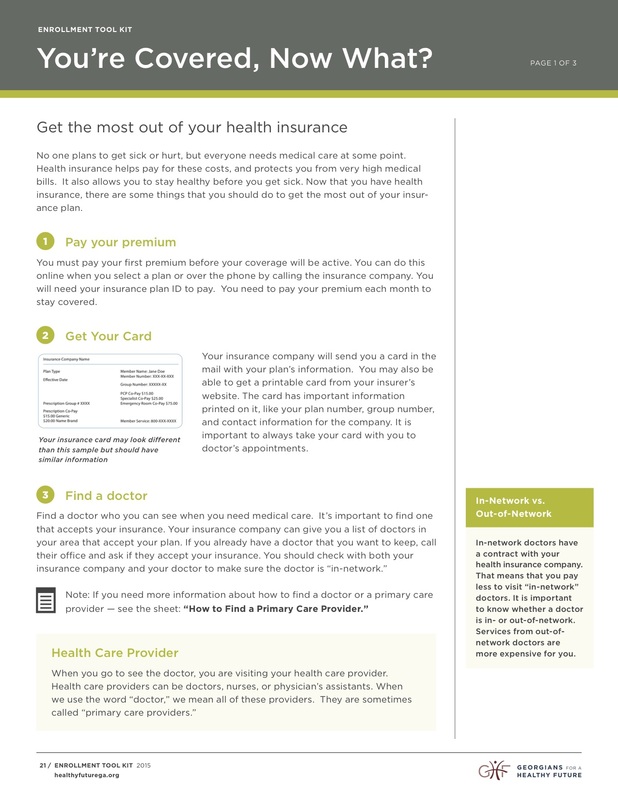 This fact sheet helps consumers get the most of their health insurance. 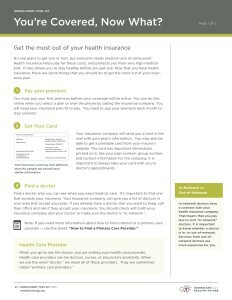 It includes information about how to pay your premium and find a provider. It also provides definitions for key health insurance terms such as out-of-pocket maximum and prescription drug formulary. Enrollment assisters may also want to provide this to consumers after they enroll.